IT might have been robbed of the top spot on the world’s most liveable list, but new research has confirmed life in Brisbane is actually far better than Melbourne. 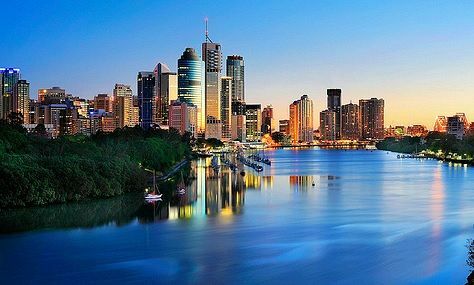 Brisbane has cemented itself as the nation’s lifestyle capital, with the city home to seven of the top 10 most liveable suburbs in Australia. Only St Kilda West was able to edge Brisbane suburbs out of the top five, with South Brisbane coming a close second, followed by Dutton Park, Spring Hill and Kangaroo Point. The suburbs were ranked based on ease of access to schools, parks, beaches and the CBD, by car or public transport. The findings were compiled by realestate.com.au using its own online trends and Australian Bureau of Statistics data. And the results speak for themselves. The Brisbane suburbs in the top five are all a 10 minute drive or less from the CBD, whereas it takes approximately 18 minutes by car to get to St Kilda. St Kilda West is 5km from Melbourne’s CBD, while South Brisbane is just 2km, and nearly 100 per cent of people living in both suburbs have easy access to schools. There’s no comparison when it comes to affordability either. The median house price in St Kilda West is $2.6 million, while it’s $1 million less in South Brisbane. REA Group chief economist Nerida Conisbee said it wasn’t surprising to see Brisbane dominating the most liveable list. “We’ve always known Brisbane does have so many amazing lifestyle elements to it, but this proves it,” she said. Ms Conisbee argued Melbourne was beginning to lose is livability appeal due to population growth and infrastructure bottlenecks. Last month, The Economist’s global livability report named Melbourne the world’s most liveable city for the seventh year in a row. Brisbane was 16th on the list. But demographer Mark McCrindle argues the report focuses too heavily on a city’s economy and not enough on natural amenities, climate and lifestyle. Mr McCrindle said Queensland and Victoria were the only two states in the country experiencing positive net interstate migration. The 29-year-old rents in Fortitude Valley and travels just five minutes by train to work in the city. “I really like the location,” she said. “There’s loads of stuff to do — restaurants and bars, the river walk, and I don’t have to drive very often. She and her friend pay $470 a week to rent their brand new two-bedroom apartment. “It’s still pretty affordable to live this close to the city,” she said.